kaleidescape Movie Servers on demonstration at HiFi Cinema ! HiFi Cinema are one of a handful of “Experience Centres” where you can see a demonstration of the full range of facilities that Kaleidescape can offer. 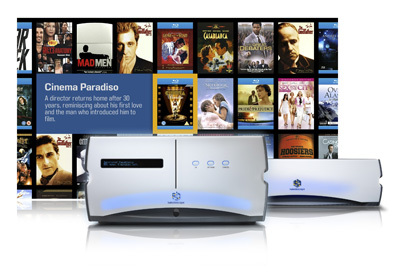 Kaleidescape are one of the worlds foremost manufacturers of Movie Server and multi-room AV equipment. The Kaleidescape system was designed to show movies from the ground up, and in order that it does this reliably, Kaleidescape created their own dedicated operating system, rather than relying on a “standard” computer operating system. This means that the Kaleidescape system is quick and robust, and offers an intuitive and easy to use operating experience. One of the unique features of the Kaleidescape system is the fact that Kaleidescape have built up an enormous database of DVDs and Blu-Ray discs, and have marked on their system where the start of each movie is. It means that when you press the “Play Movie” button on the one you’ve selected, it does just that, starts playing from the beginning of the movie, rather than the beginning of the DVD with all of the trailers and warnings. The Kaleidescape system offers ease of use and flexibility, movies can be selected by a variety of criteria from name, director, principle lead actor etc. to run time, so if you have a limited time on your hectic schedule, you can shoose a movie that will fit into the time available. The Kaleidescape system also keeps a selection of key scenes from your movies, where the scenes are book-marked so you can jump straight to the start of them, when you want to show the system off to your friends! The system has to be tried to be appreciated – We have invested in the latest systems from Kaleidescape, so that you can browse through our selection of favorite DVDs, Blu-Ray discsand downloads, and experience one of the best entertainment systems in the world. For more information download the Kaleidescape-Brochure here. “I can stream 4K movies from the internet, why is Kaleidescape better ? Introducing the worlds first movie download service in full Blu-Ray quality (4K HDR with high resolution audio formats). Kaleidescape have brought to you the facility to download full 4K movies onto your Kaleidescape System at competitive prices at the click of a button. 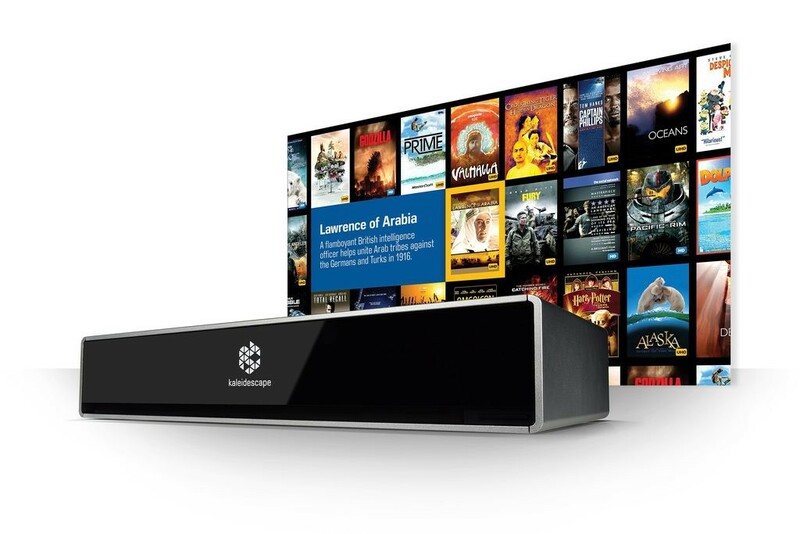 Once you’ve purchased a movie on your Kaleidescape System, you can watch it as many times as you like, and if you wish to free up space on the hard drive, you can delete it, then in future download it again free of charge if you’d like to watch it again. The Kaleidescape Store now offers a variety of upgrade options that let you upgrade your DVD quality downloads to Blu-ray quality movies. Take your movies on the go with upgrades to UltraViolet rights for playback on your TV, tablet or phone. Strato can be purchased with or without an internal 6TB hard drive that can store up to 100 4K Ultra HD movies, 200 Blu-ray quality movies, or 900 DVD quality movies. Strato equipped with internal movie storage can be used standalone or in a system with other Encore components. Strato with or without internal storage can play movies from any Terra movie server, from another Kaleidescape Strato or Alto with internal storage, or directly from a blu ray disc or dvd in a Kaleidescape Disc Server. The movie starts immediately, without trailers or warnings, and you can jump right to your favorite scene or song, without fast forwarding.